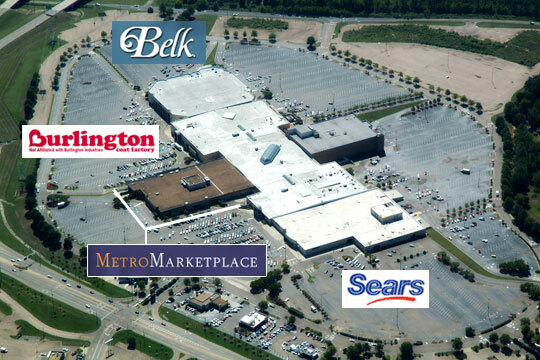 Metrocenter is the largest enclosed shopping mall in Mississippi. They also have the only Sears within a 90 mile radius and now the second Burlington Coat Factory in the state and the only one within a 150 mile radius. They are a two-level, enclosed, regional shopping center. There are six colleges all within ten miles of the mall: Jackson State University (6,820), Mississippi College (3,500), Millsaps College (1,146), Belhaven College (2,300), The University of MS Medical Center (2,000) and Hinds Community College – Rankin Campus (2,700). They are anchored by Sears, Belk and Burlington Coat Factory. A retail mix of over 110 stores including Bath & Body Works, New York & Company, Lane Bryant, Victoria’s Secret, Footlocker, Kid’s Footlocker, Lady Footlocker and Zales Jewelers.